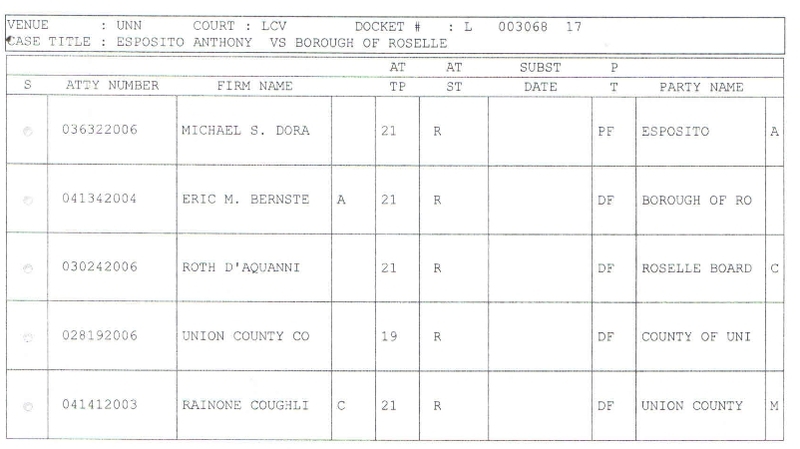 2019-172: Resolution authorizing the County Manager to enter into a Memorandum of Understanding with the Union County Improvement Authority (the Authority) to solicit proposals from qualified entities for the Lease or Purchase of the Union County Juvenile Detention Facility and directing the Authority to deliver an amended Exhibit A to the Lease Purchase Agreement to include professional and other services and related work in connection with this undertaking, in an amount not to exceed $325,000. What will the UCIA be doing for their $325,000? 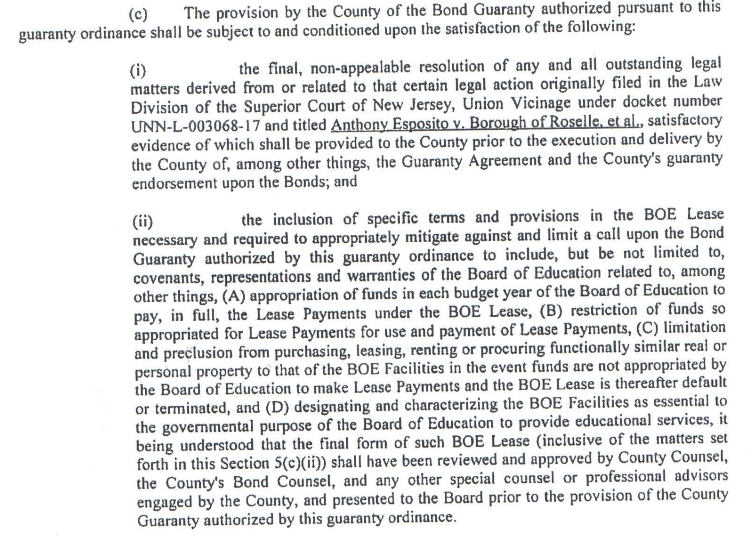 Tonight was supposed be the last hurdle in getting the building of the Roselle Mind and Body Complex moving as Union County was scheduled to have a second reading of an ordinance to guarantee the Roselle Board of Education’s portion of the bonding for the project. 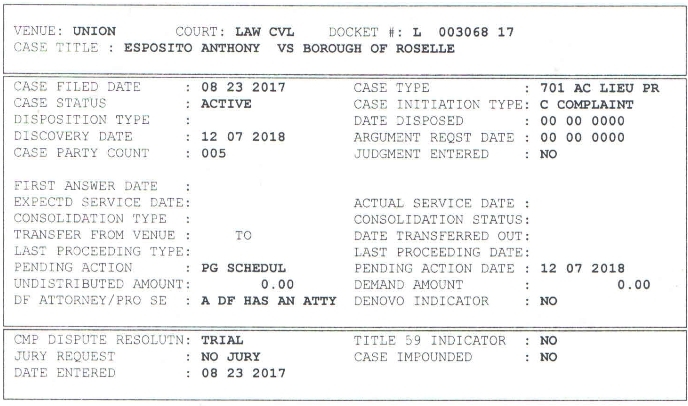 Judge Robert Mega ruled yesterday on whether the lawsuit by Anthony Esposito against building the Roselle Mind & Body Complex can continue. 4. A resolution appointing Schwartz, Simon, Edelstein & Celsco of Whippany, as special counsel in a matter relating to the Mind and Body project in an amount not to exceed $5,000.